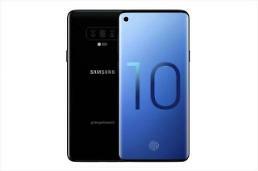 SEOUL -- Samsung Electronics' new flagship smartphone Galaxy S10 will adopt a high-performance microprocessor that could accelerate artificial intelligence, a senior researcher said. 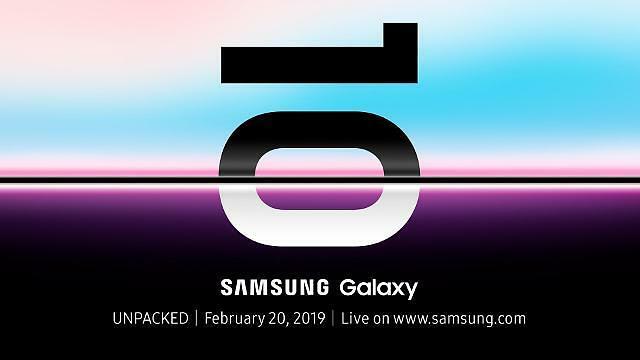 The world's largest smartphone maker plans to unveil S10 at an unpacking event in San Francisco on February 20. Samsung has unveiled Exynos 9820, a premium mobile application processor (AP) that is powerful enough to process artificial intelligence-related tasks by itself, ideal for smart devices. Exynos 9820 features a powerful custom CPU core, a fast LTE modem and an integrated neural processing unit (NPU) that specializes in the acceleration of machine learning algorithms. Normally, mobile APs depend on network servers to carry out AI processing to save memory resources and maintain the processing speed of CPUs. Samsung's Exynos 9820 chip provides fast performance and better security of personal information. "Galaxy S10 will be installed with an NPU which used Zero-Skip technology for the first time in the world," Shim Eun-soo, head of Samsung AI and software research center, said in a speech Wednesday at a semiconductor trade fair in Seoul. Zero Skip makes it easier to optimize the performance and efficiency of an NPU. Shim said Samsung is also developing "On-device AI" technology to implement AI service for smartphones and autonomous vehicles without going through the cloud. AI is implemented mostly in the cloud, but smartphones and autonomous vehicles will implement their won AI in the future, he said, adding it is essential in terms of privacy, the speed of response and network connection.